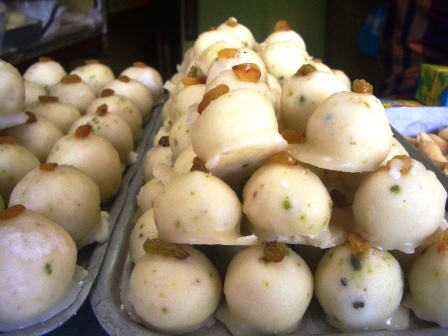 Each sweet biography in Bengal is laced with fascinating tales and Monohora- a sweet invented by artisan/s from Janai a village tucked away in Hooghly district of West Bengal is no exception. Monohora which literally in Bengali means one who steals the heart till date continues to be a favourite among sweet lovers. 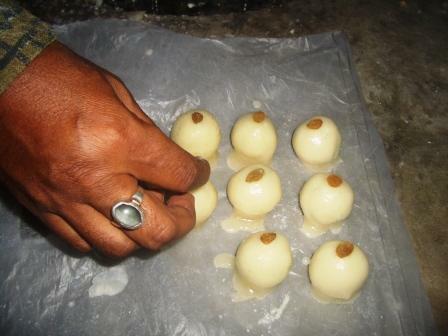 Unlike other sweetmeats, the genesis of this fascinating sweet remains unknown still one of the legends associated with Monohora biography is that one of the Moiras ( a caste group associated with sweetmeat business; nowadays it is referred to confectioners) from Moira para (neighbourhood of the Moiras) was entrusted by the then zamindar to prepare a sweetmeat. The zamindar (head of the village) left for some work and returned behind his scheduled arrival. 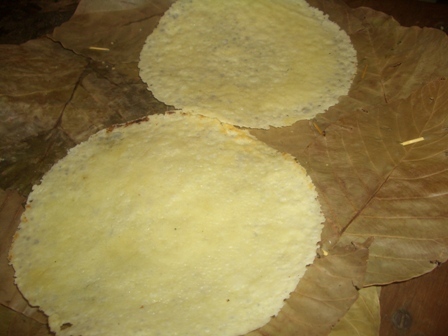 The Moira was worried that the sandesh would go bad. 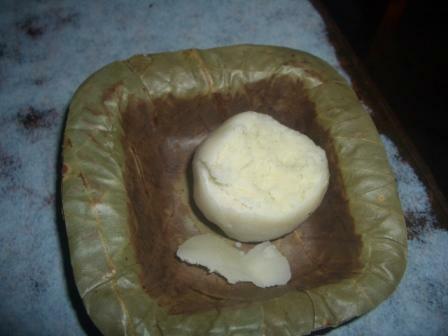 He coated a lump of Sandesh in a thick sugar syrup so that the sandesh would not go bad. When the zamindar returned, he tasted the sweet and remarked that the sweet has stolen his heart and hence the name Monohora ( in Bengali it literally implies “je monk e horon korechche”- one who has stolen my heart). 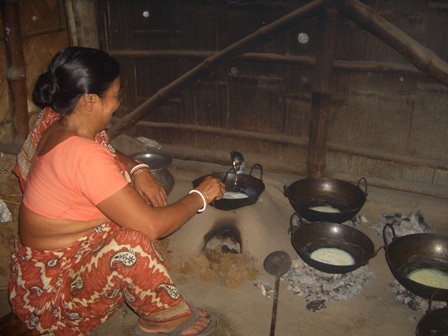 In my several visits to Janai I have heard senior artisans and residents of the area recounting me this fascinating tale over Monohara- a sweet Janai is very proud of. 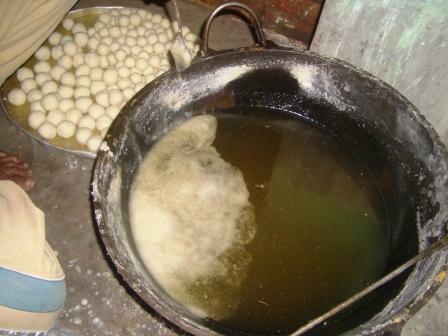 Usually like all sweet shops across Bengal the chchana ( the cottage cheese) is mixed with sugar in a huge wok (kadai) with a wooden ladle ( tadu). 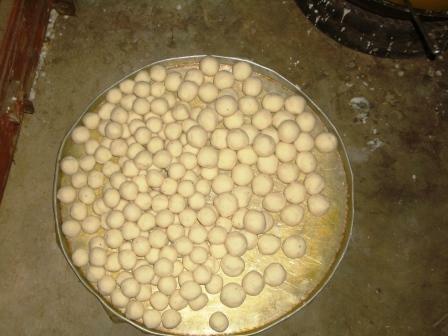 Since there is a sugar coating, special care is taken so that the sandesh is not too sweet ( usually for 1 kg chchana 300gms of sugar is used). Some shops go tha extra mile to add cardamom, pistachio to the mix. 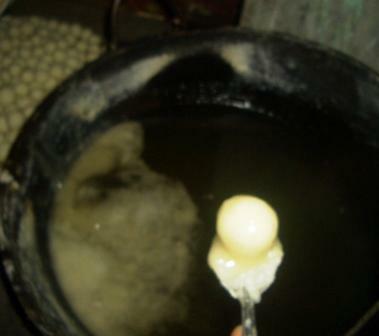 The sugar syrup is prepared with due care. 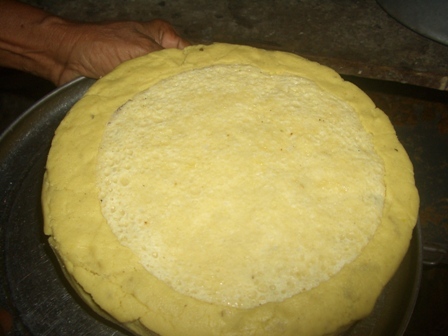 It is slightly thick in consistency and once it cools the round lumps of sandesh are dipped in the sugar syrup and allowed to rest for two hours. Your Monohora is ready to serve. Monohora is priced betwee Rs 3-10 across shops in Janai Bazaar which is a 10 minute distance from Janai Station ( if you want to reach Janai from Bardhaman via Cord line). So in case you are free this weekend plan a gateway from the hustle bustle of Kolkata head to Janai for a sweet trail. Please do not request shopkeepers to give you plastic bags as they have been banned. Two shops I would hugely recommend around the Janai bazaar are Kamal Moira’s sweet shop (a shop without name plate) and opens around 11.30am. You can land there by 3pm for a fresh serving of Monohora. In case you are pressed for time you can head to Maa Kali Mistanna Bhandar as well. The shop is run by Tarun Das and his sons Pradip Das and Dilip Das. 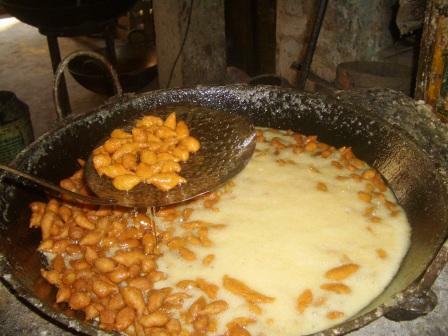 They sell another hugely popular sweetmeat Boro Bonde ( it is a fried sweetmeat and tastes like the usual bonde but slightly bigger size). Next time when you complain of sugar coating of Monohora remember to take the coating off and eat it. Monohora is truly the sweet that marks the first sign of preservation of sweets before refrigeration methods entered the confectionery industry.